This is .32 Auto Magtech Guardian Gold 65gr. Jacketed Hollow Point Ammo. 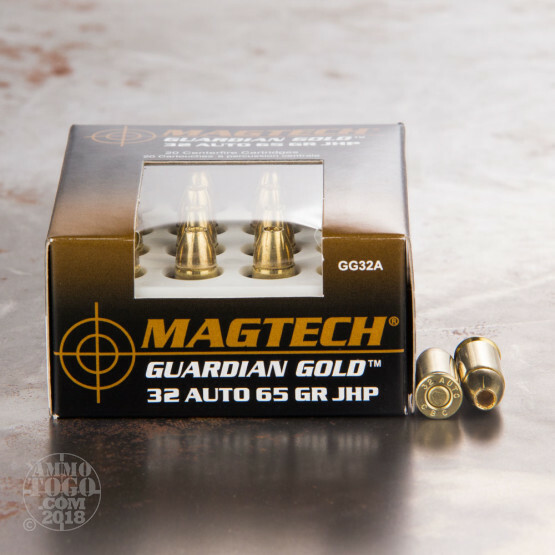 The reliability of this ammunition is a result of extensive quality control. Each phase of the loading process undergoes a thorough inspection, with the final inspection using a sophisticated electronic measurement system to determine correct chamber feeding. 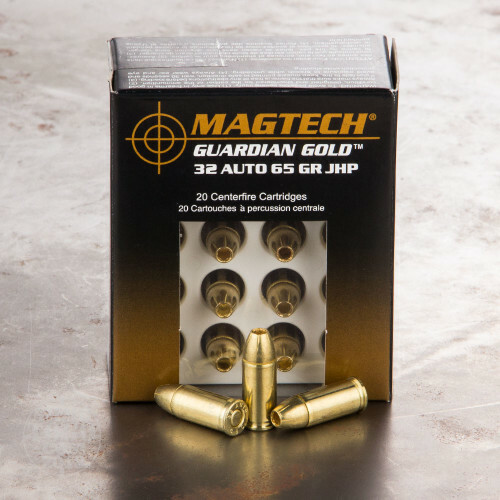 Over 20 national police agencies and countless local agencies throughout the world depend on Magtech products for their training and service ammunition. This ammo comes packed in 20rd. boxes.